Video is a super powerful way to get your get your message across, support your brand and a perfect tool to help build trust with your audience get to know you and what you're all about. I've had the honor of working with Kristen/Canvas Studio on a professional level. When it came time for my fiancé and I to select a photographer for our wedding, I knew right away Kristen was our best option. Her infectious personality, sense of humor and strong worth ethic brings the level of comfort you want for your special event. I'm not comfortable in front of a camera (I never know what to do with my hands). I always feel awkward, posed and stiff. However, on our big day Kristen made us feel at ease. She brought a level of comfort and fun that made us feel relaxed and confident. We first met Kristen six years ago and at the time our first (and only) child was 18 months. The family picture experience up to this point had been stressful to say the least. The moment we met Kristen that all changed. At our first session, I felt like someone we’d known forever was taking our pictures. Six years and three kids later, we haven’t used anyone else. Each session is a whirlwind of laughter and chaos but the final product always make me tear up. We feel lucky to have met her! Working with Kristen is as natural as working with a close friend or family member. My two boys are balls of energy, they don’t like taking pictures but they like taking pictures with Kristen. That is because she captures and matches their energy. If they want to run, she runs too. If they are being shy or stubborn, she’s there shooting and capturing the moment. 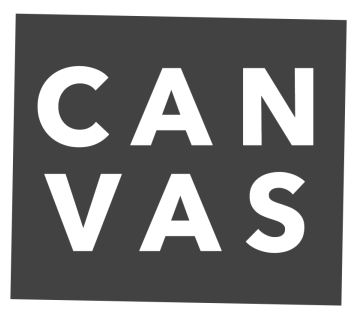 Canvas Studio has done everything for my business from logo design, to website, to product photography, to branded graphics. Since the start of my company (ShopBravura), I have absolutely LOVED all of the work that Kristen has done! I am overly happy with her services and couldn't have found a better person to fit the needs of our company. She has a way of portraying who she is through her work. She just GETS me, my style and the vision and passion behind everything I do. Initially, I had a very talented artistic friend recommend Canvas Studio to do video, photo and design work for me. Thankfully, I listened to that recommendation. From the very beginning, Kristen was flexible, communicative, and personable. She has been that way since and it is very hard to find someone like Kristen. Not only is she extremely skilled at her many crafts, she also follows through more so than any one I've every worked with in her field. Expect great things from Kristen. She will not let you down. She will exceed expectations and do it while making you smile and laugh. I discovered Kristen and her business about 6 years ago when I was trying to find a photographer to take pictures at the airport for my husband's (military) homecoming. I had seen so many wonderful photos on her website of children and families. You could see the emotions and energy coming through her photography. Working with Kristen the first time was a breath of fresh air. I could tell upon meeting her that she truly loves what she does. And my kids loved her! She had them smiling and laughing the whole time! I knew that first session that we had found someone who would see us for US and not just another family walking through the door. I felt like she truly cared about my family and all of these years later that has never changed! You won't find a nicer person to work with. I was referred to Kristen from a friend when I was a senior in high school. I immediately fell in love with the photos Kristen had taken and knew I had to have her take my senior pictures! I've always felt like it was hard for me to get genuine pictures of myself, but whenever I work with Kristen the smiles and poses just come so naturally. She's got a way of making you feel like a model, like the most important person around. You don't feel awkward at all for dancing under a bridge in the middle of a bike path. What started as me hiring Kristen to take my senior pictures, has turned into having her take military pictures, engagement pictures, and this year she will be taking our wedding photos! I have found someone that I can trust to capture all of the most important moments of my life, and I couldn't be more grateful.